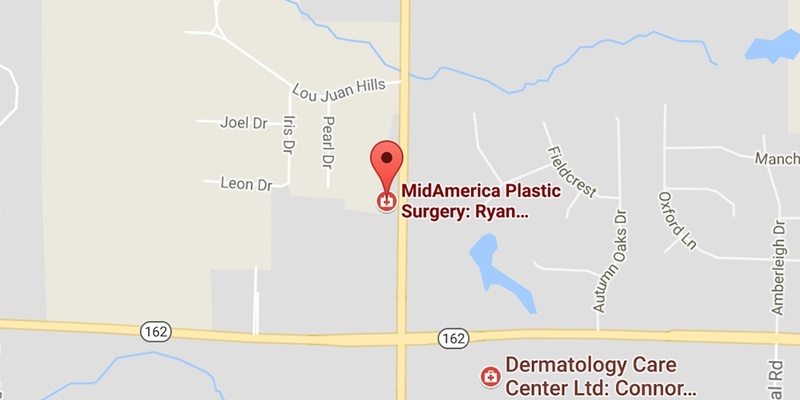 Dr. Ryan Diederich opened The Spa at MidAmerica Plastic Surgery with a commitment to safely providing nonsurgical services in a relaxed and friendly environment in which patients felt confident and comfortable. Our Glen Carbon medical spa offers a range of minimally invasive aesthetic services provided by highly trained nurse practitioners and a licensed aesthetician. Under the direction of Dr. Diederich, a board-certified plastic surgeon, our providers use the latest technology and skin rejuvenation products to create results that exceed our patients’ expectations. Residents living in Southern Illinois choose MidAmerica’s medical spa instead of traveling to St. Louis for their treatments. Request a complimentary consultation using the online form, or call us at 618-307-6233 and a member of our friendly staff will help you schedule an appointment.